SharePoint List Filter Plus web part enables you to create custom filtering forms, composed from all types of fields to easily filter any web part/s on your SharePoint site! Filtering & finding information in your SharePoint lists is easier than ever! 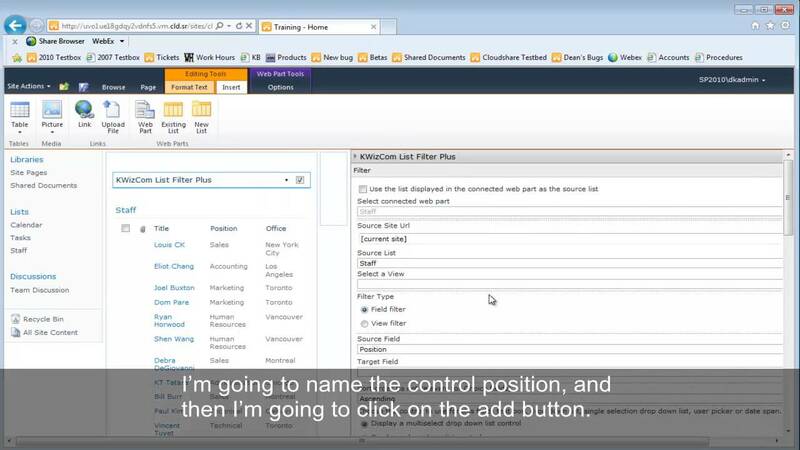 When having multi-value drop-down filters, end-user can select if the applied filter should use AND/OR operator to find matching items in the filtered list. Easily run and display your required custom reports! You can use the List Filter Plus web part as a generic query engine! Instead of filtering one specific list, you can configure the web part to run your required custom query on multiple lists located in various sites! Now you have a control type to match every desired field; choose between the text box, the drop down list, the single selection drop down list, the user picker and the date span (from… to…) controls to make the filter extra efficient! Multi-lingual by design – customize to the language of your choice with ease!